Display – 5.5 inches LED-backlit IPS LCD capacitive touchscreen. Protection – Yes , Ion-strengthened glass, oleophobic coating. – 3D touch display and home button. Colors – Gold, Space Gray, Silver. Apple announced they upcoming 3 new smartphones iPhone 8, iPhone 8 Plus, iPhone X. Each smartphone is attractive his own features and design. But people especially love iPhone X, because of this device has face ID and (~82.9% screen-to-body ratio). However, Apple iPhone 8 Plus is one of the most attractive phones now time. This device has inches LED-backlit IPS LCD capacitive touchscreen, 12 MP Dual Camera, and 7 MP Selfie camera. This device comes with Hexa Core Processor pairs with 3 gigs of ram. Apple use A11 Bionic chipset in this device so it makes iPhone 8 plus too faster. However, this device is not available on Bangladesh right now. 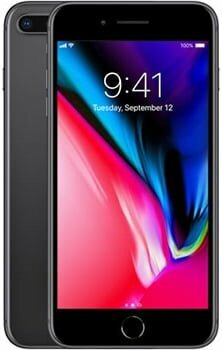 When iPhone 8 Plus is available we announced our Facebook page and our website.